When Ingres first exhibited Mademoiselle Caroline Riviére at the Salon of 1806 he didn't exactly receive the attention he had hoped for. His portrait was definitely noticed but more for what critics believe to be a digression from the art world instead of progress. Critics of later times came to recognize the fashion sense in this portrait as well as its undeniable sexuality. At the 1806 Salon Mademoiselle Caroline Riviére was poorly received. 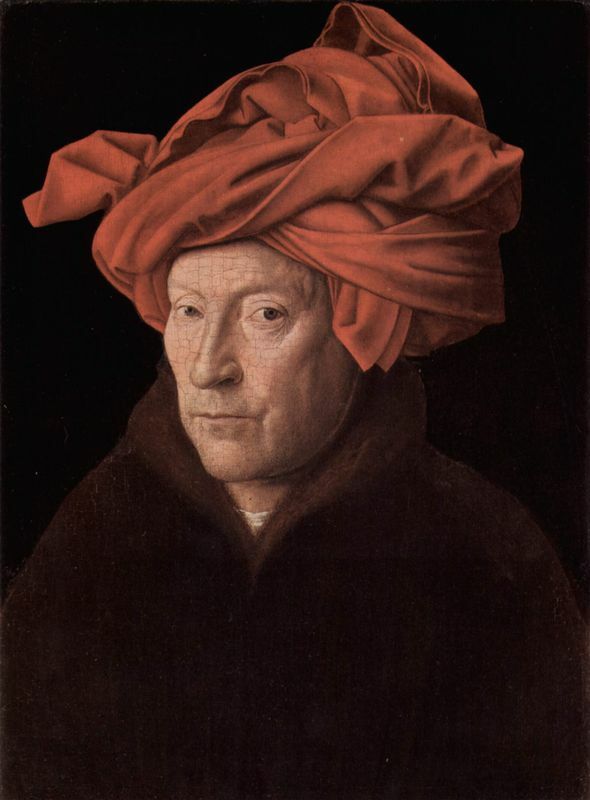 Critics drew parallels to Ingres' portrait and the "gothic" style of Jan van Eyck, an early Netherlandish painter. Instead of moving forward, critics saw Ingres reverting back four centuries to a more primitive style. This art had just been uncovered and Ingres was known to have studied it intensely. Ingres, known to be extremely sensitive to criticism, was hurt by the unfavorable response but continued to draw in his own unique style. He abhorred all things related to Romanticism, which favored the imaginary and emotion over real life. Traces of gothic influence lasted throughout his entire career. William Delacroix, a known rival of Ingres, said that Ingres' works "are merely clever and satisfy nothing but idle curiosity. " Delacroix commented that he admired his knowledge of dress and his feel for adornment, perceiving some glimmerings of Romanticism there. "Before his departure in the fall of 1806 from Paris for Rome, the familiar characteristics of his drawing style were well established, the delicate yet firm contour, the definite yet discreet distortions of form, the almost uncanny capacity to seize a likeness in the precise yet lively delineation of features. Ingres' manner of drawing was as new as the century. It was immediately recognized as expert and admirable. If his paintings were sternly criticized as "Gothic," no comparable criticism was leveled at his drawings." 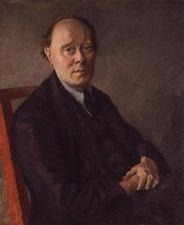 In portraiture, one cannot overlook the wardrobe of the sitter and more importantly, what lies underneath the clothing. Ingres' nudes were a statement of their own. He mostly idealized the female form, tweaking it to perfection where he saw fit. He did the same here with Mademoiselle Caroline Riviére, apart from the fact that her clothing provides a slight cover-up to the distortions. The Goncourt Journal felt that Ingres recreated modern women of his time in an "overworked, polished, and naively stupid" manner. Others have described his depiction of women 'without secret troubles, impossible dreams or fancies in their heads, made for healthy and simple love..."
The Goncourt also said that Ingres' work would lack lasting appeal: "The female body is not immutable. It changes according to civilizations, periods, customs. The body of the time of Phidias is no longer that of our time. Other customs, another age, another line. The elongation, the free-flowing grace of Goujon or Parmigianino are only the woman of their time caught in the elegance of the type . . . The painter who does not paint the woman of his time will not endure. " Art critic, Clive Bell, wrote in the 1920s of Ingres' nudes, 'the heavy harem type of the artist were sensuality, the hearty appetite of a great eupeptic bourgeois'. It must be taken into account however, that he wrote during a time when the slim and nearly androgynous female form was exploited in all the major fashion magazines. In the 1930s, Martin Davies referred to Ingres' females as "grossly feminine." Still, critics believe that Ingres' genius is relevant to how the women he drew related to their garments, the fabric and other accessories around them. They note that Ingres conveyed pleasure through the female body and its ornamentation even if what he considered pleasurable caused hostile remarks from a wide range of critics. Many modern art critics focus on the sexual nature of Mademoiselle Caroline Riviére. In 2003, Jonathan Jones said of the painting: "The sexuality Ingres usually reserved for harem fantasies slips over into the real and respectable world in this charged portrait. His obviously intense visual relationship with his subject and his contentment to look, with a clinical waxy fetishism, at Mademoiselle Rivière's full lips, bared neck, long gloves and spectacularly serpentine boa, lend this picture drama." Critics say that his work is "too finished" as he pays such great detail to everything, down to the surfaces. Other critics agree with Baudelaire that Ingres' portraits were slightly "suffocating". Baudelaire explained that Ingres was obsessed with the ideals of antiquity combined with 'the curiosities and minutiae of modern life'. Ingres' portraits are most often admired for the fashion sense but most critics notice the strange coupling of realism (photographic realism of the fabrics) with abstractions (to anatomy). Some modern critics view Ingres as creating his own genre, one in which the dress is an art form itself. Ingres had an obsession for perfection, evident by the costume and accessories. The belief was created that Ingres' women of fashion, through their clothes and accessories, are as much the same imaginative creatures as his bathers (The Valpinçon Bather) and odalisques (The Turkish Bath).